Following Sir Alex Ferguson’s announcement that he will be retiring at the end of the season Manchester United have signed Everton manager David Moyes as his replacement. The Scot has signed a six-year contract and will join once the current campaign finishes. 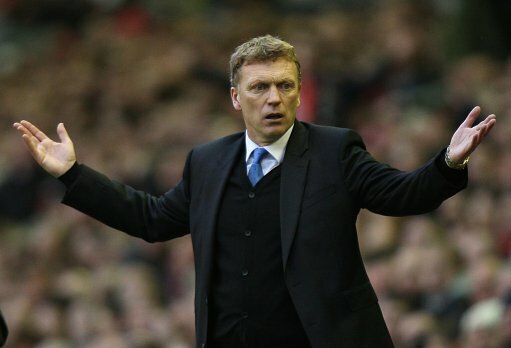 Roberto Martinez is being hotly tipped to replace him. Wayne Rooney wants to leave United too, with cubs lining up around the corner for his signature. The club have insisted he is not for sale though, but with two years left on the striker’s current deal they will need to decide whether to cash in, or risk losing him for free. Expect a lot more on this in the coming months. Aston Villa captain Stiliyan Petrov has announced he is quitting football to set up a charity for leukaemia sufferers. The midfielder was diagnosed with acute leukaemia in March 2012 and says he has “come to understand and appreciate the way in which this disease impacts the lives of so many people,” and would now like to help other people affected. Yaya Toure is fit for Saturday’s FA Cup final after being rested for the game against West Brom. Manchester City officials said the decision not to play the midfielder was just precautionary and they have every intention of starting him against Wigan. Edin Dzeko was asked if he will be at City next season and responded with, “We will see. Everything is open.” Queue the links with every team needing a striker then. Sunderland manager Paolo Di Canio has said he thinks on-loan defender Danny Rose has a ‘bright future ahead of him’ after being impressed by the Tottenham left-back in the time he’s been at the club. He went on to say Rose needs to improve defensively but hinted that he would sign the player if given the chance. Queens Park Rangers defender Tal Ben Haim has joined former team-mate Ryan Nelson at Toronto FC. Nelson is the manager at the MLS side and has signed the Israel international on loan until the end of June. Portsmouth have signed former Hull defender Sonny Bradley on a two-year deal. Defender Danny East has also joined after being released by the Tigers. Reading have reached an agreement with Waitrose which will see them remain official shirt sponsors until the end of the 2014/2015 season. Next articleRoberto Mancini To Be Sacked By Manchester City?